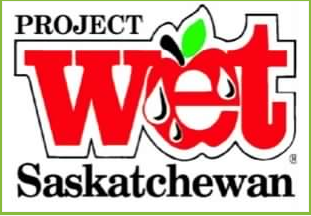 SaskOutdoors is pleased to be the partner for the Canadian Water Resources Association – Saskatchewan Branch (CWRA-SK) in implementing and delivering Project WET Saskatchewan workshops in the province. Project WET is an instructional resource designed by teachers and water resource professionals FOR K-12 classroom teachers. It covers topics such as water chemistry, water quality and human health, climate and weather, water demand management, water conservation, cultural values about water, and how to launch action programs and develop water celebrations and water festivals. The learning activities are fun, hands-on, engaging for youth and educator friendly. The activities promote critical thinking, problems solving and teamwork. They help young people gain knowledge and make informed decisions, that is, they help young people learn how to think about water issues, not what to think. For a more complete overview of the Project WET program content, goals and objectives, please visit the Project WET Foundation website. Workshops for educators are typically 4-6 hours long and each participant received a Project WET manual. SaskOutdoors to set up a workshop or for more information. SK Cross Reference, Gr. 10 Science - NEW! SK Cross Reference, Environmental Science 20 with Project WET AND Healthy Water, Healthy People - NEW! Wondering how Project WET fits with the Math Curriculum? Have a look at this document to see general areas of overlap! To book a workshop or for information on attending a workshop, please contact us!